We have a stall or two coming up in the next month. We will have a small stall at the free to enter Lowbrow festival in Haggerston park this saturday 10th. We will have all our products plus art prints and t--shirts from artists Tom the Pen and Dan Prescott at the Sunday Upmarket in Brick Lane on Sunday 25th. Hope to see you there! Poster Challenge: Design an 'Artvert'?! Art below's latest poster challenge is in collaboration with Rooms Magazine. They are challenging artists and designers to come up with a poster design that has the appearance of an advertisement. 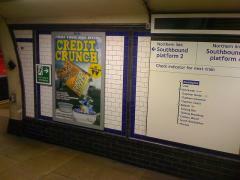 Art Below offers the opportunity to display the winning 1x1.5m poster at a major London Underground station, for 2 weeks in October 2011. 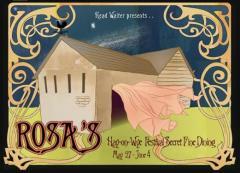 Rooms Magazine will also be proud to award the winning poster with a feature in the December 2011 issue. The winning design will be selected by Rooms Magazine and Art Below from all entries received before the deadline: 30th September 2011. Selected entries and runners up will be displayed online. Note: There is no fee to enter or take part. Mr Will Conway gets all animated in this talkie. 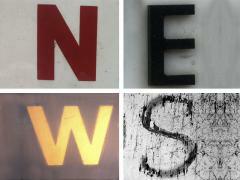 Read our latest newsletter here with details of all that we are doing currently. If you would like to receive these direct to your inbox from the lazy newspaper boy then subscribe at the bottom of our home page. Tastes of Ink gets a good reviewing from Brighton Lite. On the 27th June Karen Georghiou will begin her 'Book Club' - a regular feature in which she will interview various Lazy Gramophone writers about their published works. 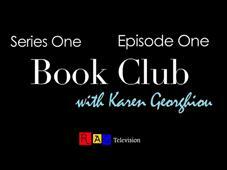 The idea behind Book Club is to reveal authors' perspectives on their own publications and so questions will progress according to the chapters of each featured book. Karen will also be offering you the chance to pitch your own questions via her Twitter page. 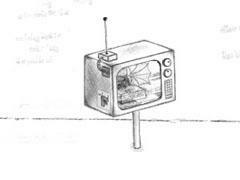 Once the interviews have been recorded the resulting videos will be published on our Lazy Gramophone website as well as on Karen's YouTube channel: RAGtelevision. 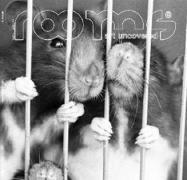 The latest issue of Rooms Magazine is now on sale! Opening this summer issue with a defiant cover from photographer Francesca Yorke, Rooms Magazine walks you straight into The Red Room, cranking up the heat with Andy Scott's steel work and the illustrations of a man that needs no introduction, Jeremyville [both interviewed by our very own Will Conway]. If that's not hot enough for you, why not climb inside one of Nick Cave's Soundsuits. Or you could always pay a visit to The Bee Kingdom, their glass-blowing studio is a constant hive of activity. Also in the Rooms Letterbox, Sergio Caballero talks other artistic endeavours besides nursing his brainchild SONAR festival, while BMX's favourite photographer Vincent Perraud adds a personal touch with his top ten tunes. I bet that was too hot now, right?! So take a break and ask for an iced coffee -mine's a mojito!- when you get to the Gallery District, get comfortable, and enjoy the always diverse array of great artists Rooms have got for you in Showrooms. The exciting news doesn't stop there. Rooms distribution frontiers keep expanding! Friends in Canada and the US will soon be able to grab a copy at their nearest bookshop and specialist retailer. Make sure you get yours! The wonderful people at Thirst For Vision, a quarterly online Magazine, have featured Lazy Gramophone on page 40 of their latest edition. Do take a look at all the great work they are doing and if like us you cannot wait for the next edition, you can always check out their TFV website or follow their TFV twitter page. 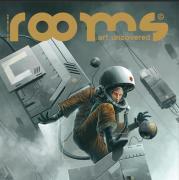 partnership with Rooms Art Uncovered Magazine. 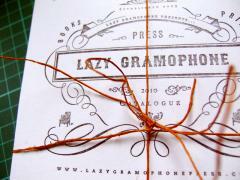 Five Lazy Gramophone artists will be performing at this month's Hay-On-Wye Literary festival! Head Chef & Head Waiter (aka Whetam Allpress & David Fuller) have acquired the gorgeous 17th Century country edifice, Rosa's Barn. Guests will be treated to a feast of the best, responsibly sourced local produce as well as a wonderful evening's entertainment, not least from our very own Lazy Gramophone artists Zoe Catherine Kendall, Joanne Tedds, William Conway, Rupert Munck and Vincent J Prince. 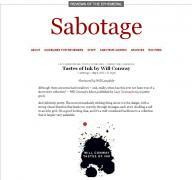 Sabotage: Reviews of the Ephemeral, have reviewed our latest publication, 'Tastes of Ink', by Will Conway. Follow this news link to read the review in full. 'Sabotage likes pamphlets, small presses, poetry and fiction magazines, manifestos, online journals, stapled pieces of paper, installation poetry, ... In other words, those ephemeral works that are often created on a small budget and distributed to a limited amount of people. A brilliant review of our latest publication Will Conway Tastes of Ink by REM Magazine. Follow this news link to read the review in full. Rem Magazine is a New Zealand Journal of Experimental Writing that embraces urgent ideas and new forms as the foundations of innovative art and writing.